This is my second thanksgiving as a vegetarian, but the first where I will actually be at a thanksgiving dinner. I usually prefer to spend my thanksgiving at a museum and thinking critically about American history, and in fact history as a whole. But, in order to participate in thanksgiving with my family I need to have some vegetarian options for myself. Because I don’t have as many of these in my own arsenal, I’ve rounded up a bunch of resources for you me and you guys. The Veggie Table | A vegetarian blog with its own roundup of recipes, but all of these are original and created by the author Laura K. Lawless. Veg Kitchen | Another roundup from a vegan blog, and I think most of these are original recipes too. All vegan things are safe for vegetarians, but remember that not all vegetarian things are safe for vegans, so if you have vegan friends over for thanksgiving, remember that they might need separate things as well. Chef In You | A vegetarian thanksgiving roundup from 2009. There is everything from soup to risotto on this list, so it’s sure to have something for you. The Pioneer Woman Stuffing | Substitute veggie broth for chicken broth in this recipe and you can make your own stuffing from scratch. 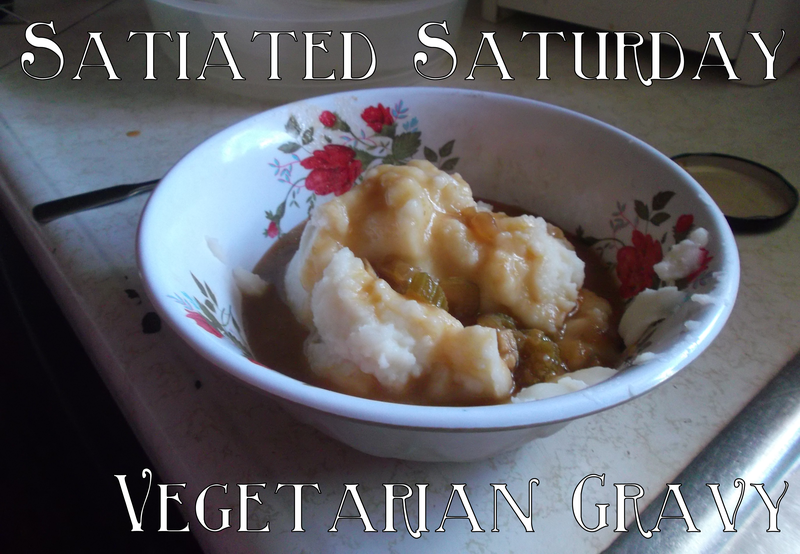 Vegetarian Gravy | This is my vegetarian gravy recipe, and I love it. 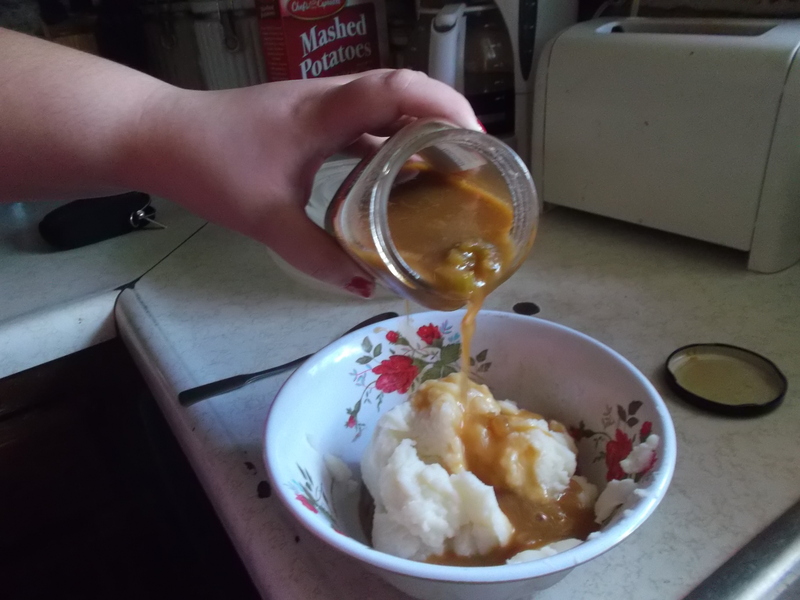 I’ll be making it for my family to share the joy that is delicious meatless gravy. Easy Italian Bread | My Italian bread recipe adapted from Bakers Banter would be delicious on the side of your tofurkey. Roasted Almonds | Roasted almonds would make a great side, especially if you’re the only vegetarian and you have a hard time getting family to let you in the kitchen on Thanksgiving. They’re easy and fast. Remember: if you check the ingredient list you can find lots of vegetarian stuffing mix, and mashed potatoes are always vegetarian. If you’re like my family you could make an antepasto tray/spread and not let anyone else eat it. (We haven’t actually made an antepasto in years because our thanksgivings are weird, but they were my favorite as a kid). Try this tutorial from Martha Stewart, and this one from Giada de Laurentiis.